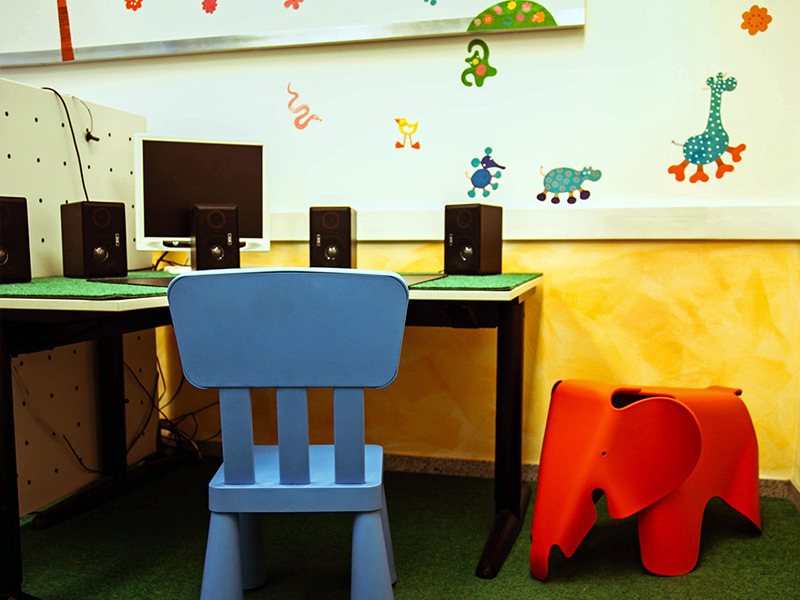 Besides infant hearing screening we perform hearing tests with children of all ages. 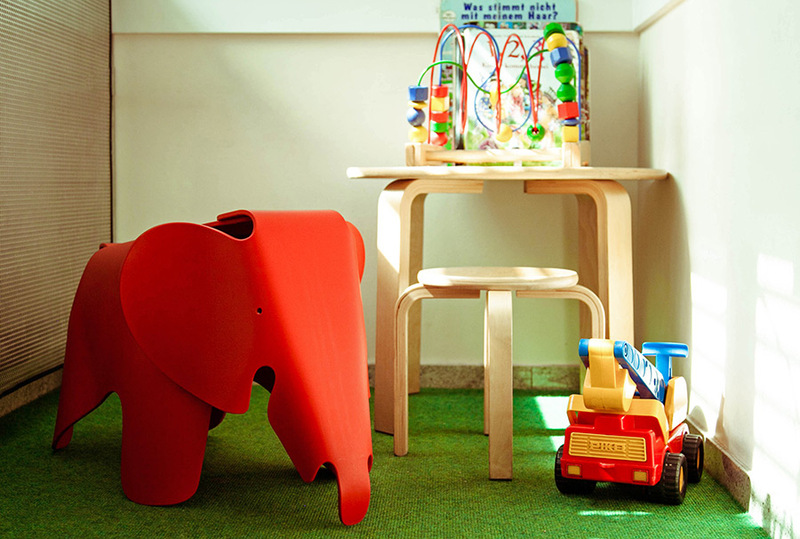 Hearing test area especially designed for small children using age-appropriate acoustic stimuli. We measure the activity of the hair cells of the inner ear (cochlea). We can examine the function of the hearing cells without the patient’s cooperation. With this method, we can evaluate the hearing of small children in spontaneous or induced sleep (sedative). 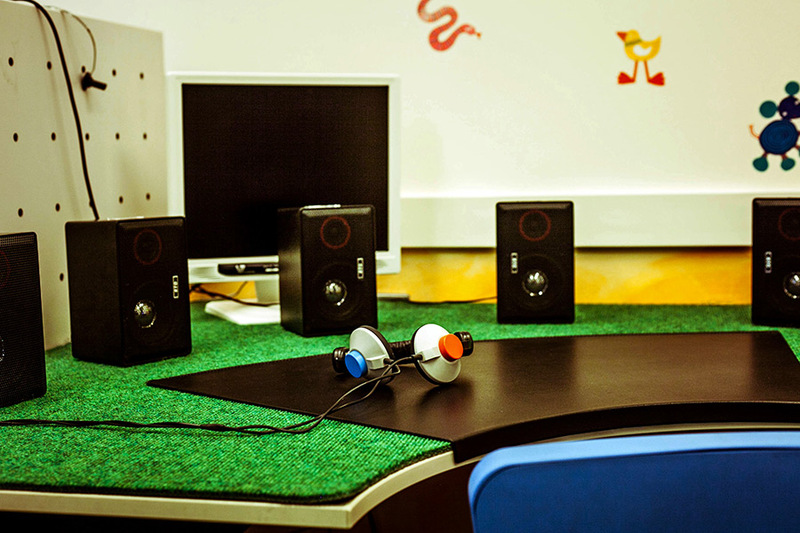 Specific hearing tests to detect central auditory perception deficits(auditory speech processing and sound analysis). You are interested in further information about surgical procedures; e.g. : adenoidectomy, tonsillotomy, myringotomy, insertion of ventilation tubes in the ear drum. We would like to inform you about the (general) anaesthesia and what to do before and after surgery: on the day of the surgery your child may not drink or eat 6 hours before surgery, we will meet at the OP-Zentrum Westend Medical Center, Grüneburgweg 16-18, in Frankfurt Tel. : 069-90558901, www.OP-Frankfurt.de, your child will be given an oral sedative liquid and the skin area of the later i.v. injection will be anaesthetized with a cream. Your child will get drowsy and will in general not remember the beginning of the anaesthesia. One relative may stay with the child, until the anaesthesiologist takes it directly to the operation theatre. Usually an intravenous anaesthesia and intubation anaesthesia with a laryngeal mask (or endotracheal tube) are combined. Your child will be in a state resembling deep sleep and will be free from pain. All important body functions will be monitored. During the recovery phase your child may be drowsy or restless. This doesn’t have to worry you and will be for a short period only. Post-surgical bleeding may occur. If it can’t be stopped by administering decongestant nose spray, please call the ENT surgeon immediately (telephone number will be told before the procedure) or go the nearest hospital available. After the incision of the eardrum (with or without tubes) there can be post surgical (bloody) discharge from the ear canal. This is insignificant. When you are back home after the surgery your child may start to drink water or tee and may eat soft food (and ice cream!) Your child can be nauseous or may be vomiting. If the vomiting does not stop after 4 P.M. /16 o’clock, please contact the ENT surgeon. A quick shower is possible the next day, physical exertion/sport should be avoided for the next 2-5 days. During this time please make sure that your child is always supervised by an adult. Please insure that no water enters the ear, especially while washing the head/hair. The myringotomy will be healed/closed in 3-7 days. After placement of ventilation tubes, the ear must be protected from water during the entire time of 4-6 months. This is done with (e.g. Aquafit junior Ear Plugs or Ohropax Badewatte).